It’s probably more likely that you’ve been to The Dorchester for tea, rather than a spa trip, but you should definitely give it a go. Walking into the beautifully decorated cream space is like being wrapped in a thick, fluffy towel. I’m still depressed about leaving. 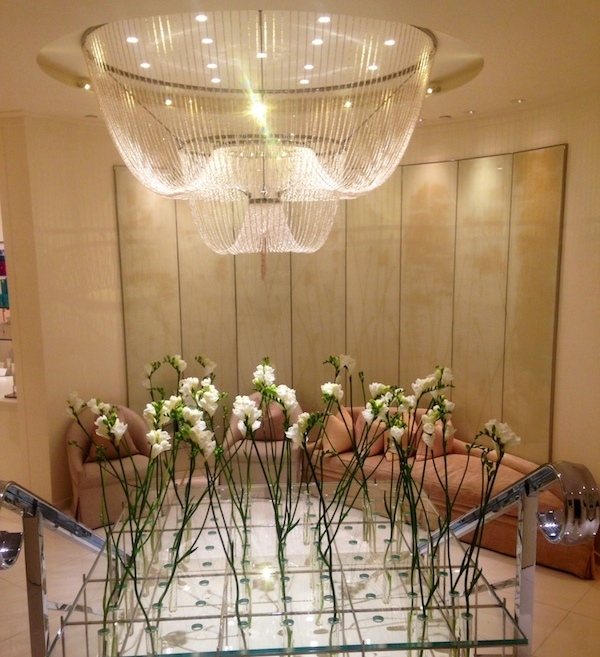 I was lucky enough to be invited to try the Carol Joy London Signature Facial. If you’ve not heard of Carol Joy, it’s a quintessentially British beauty brand specialising in anti-ageing, and centred around ‘Pure Golden Millet Oil’. This miracle product contains linoleic acid (which helps to retain moisture in the skin whilst protecting against environmental damage), and is formulated with a blend of B-vitamins to help the body absorb essential minerals, and vitamin E and Wheatgerm for anti-oxidant protection. Tailored to suit guest’s skin type, the facialist first prepared my skin with a warm cloth, cleanse and steam. Following this, she performed an extraction and applied two masks: a pure plant collagen mask, followed by a massage with IV Lifting Mask to re-mineralise and balance my skin – all the while massaging my shoulders. After a rather lengthy (and necessary – thanks, London) extraction, my skin looked fresher, cleaner and brighter – and it still looks that way a week later. A visit to this glorious spa is essential as the cold weather closes in, and is the perfect gift for a loved one. You can also have this facial as part of the Winter Sun experience – find out more here. Inspired by holistic wellness and inner beauty, SenSpa fuses Eastern and Western philosophies and treatments. Starting life as a luxury spa in the New Forest, SenSpa have released a range of Organic Therapy products, available at Waitrose. My favourite has to be the Relaxing fragrance, containing organic lavender with a beautiful blend of Patchouli, Geranium, Bergamot and Benzoin. Pop a bottle of the Relaxing Bath Oil in your basket next time you’re in store – it creates an incredible fragrance and leaves skin satin-soft and delicately scented. 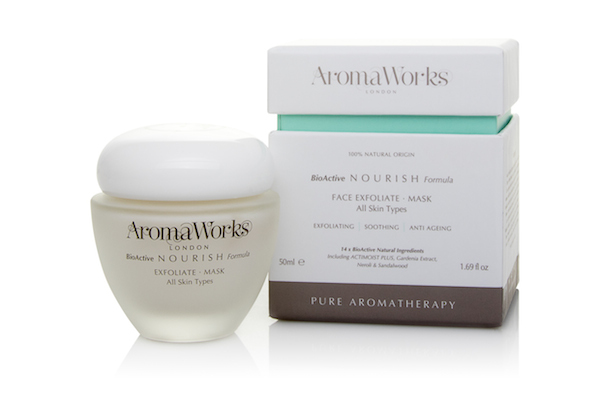 Exciting news for beauty-obsessed aromatherapy fans: AromaWorks, the high-end home fragrance brand, have launched a huge range of natural BioActive skincare products for both men and women, and they’re absolutely wonderful. Beautiful fragrances (as you’d expect for a brand whose bread and butter is beautiful candles), botanical extracts, BioActive natural and only the finest 100% pure essential oils have been combined to create a range of innovative, luxurious and ethical products. The range includes cleansers, exfoliators, toners, serums and creams, all free from perfume and alcohol, making them perfect for delicate skin – including those with conditions such as eczema, rosacea, sensitivity, psoriasis, tissue rejuvenation, wrinkles and stretch marks. To top it all off, they are also suitable for use throughout pregnancy.